(JTA) — When French architectural historian Joseph-Philibert Girault de Prangey left Paris in 1842, his luggage weighed over 100 pounds and his three-year itinerary was ambitious. He was mesmerized by photography — invented just a few years before by a fellow Frenchman — and headed to the eastern Mediterranean to document ancient buildings with his extraordinarily large-format camera. There he produced over 1,000 daguerreotypes that now include the earliest surviving photographs of Jerusalem, Egypt, Syria, Lebanon, Anatolia and Turkey. 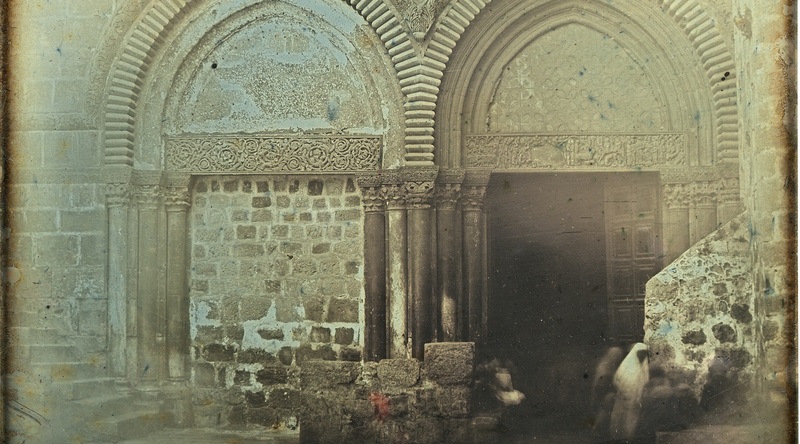 Girault de Prangey wasn’t the first photographer to bring a camera and light-sensitized plates to Jerusalem – photography came to Ottoman-ruled Palestine the year it was invented, in 1839. For centuries, European artists had painted the ancient hilltop city in countless religious artworks without ever having seen it. 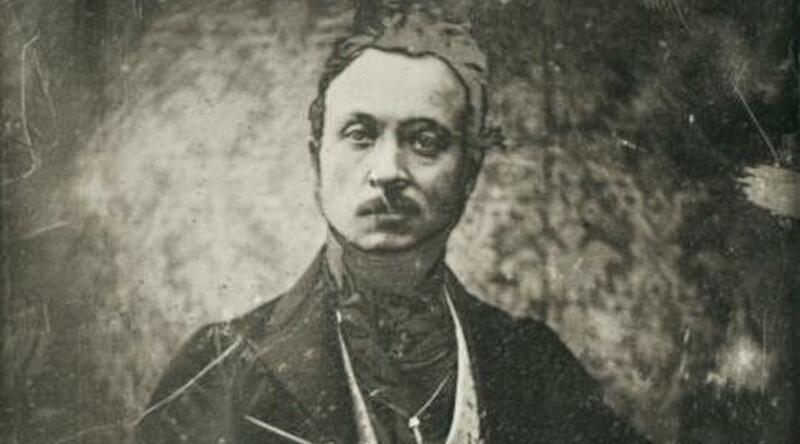 As soon as Louis Jacques Mandé Daguerre released his eponymous new mode of image production in 1839, European photographers flooded the region to capture it and bring their records home. 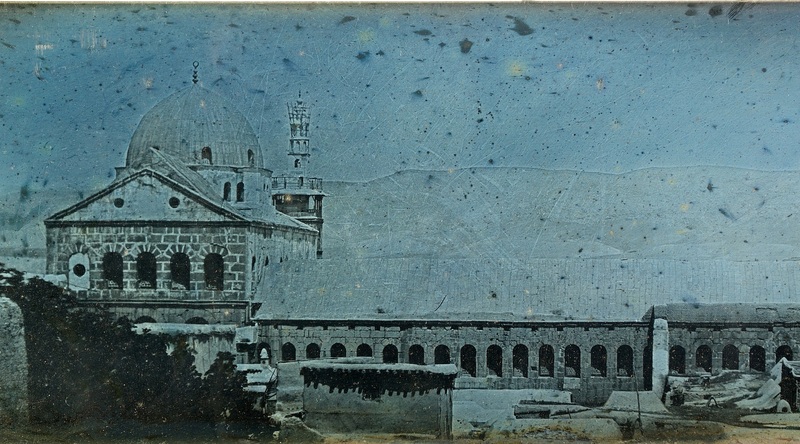 As of the mid-19th century, Jerusalem’s residents were photographing their own city. James Graham, a Scottish photographer living and working on the Mount of Olives between 1853 and 1857, trained some of the city’s inhabitants. 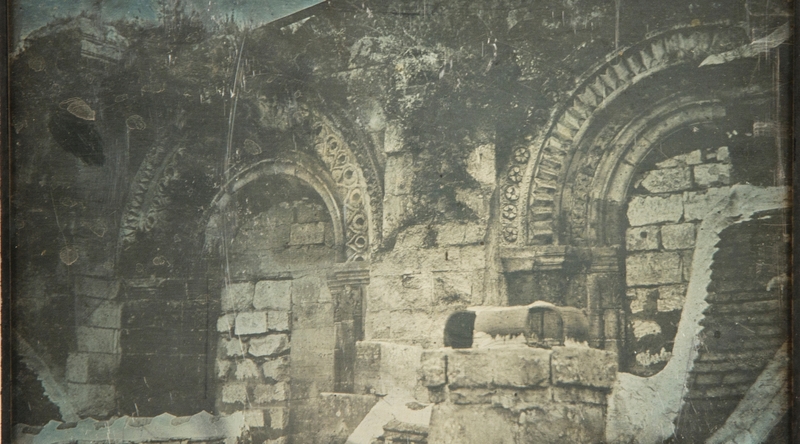 Around the same time, Yessai Garabedian, the patriarch of the Cathedral of Saint James in the Old City’s Armenian Quarter, began teaching photography courses within his church’s compound. One of his students, Garabed Krikorian, opened the first commercial photography studio in the city, on Jaffa Road, around 1885. And Krikorian’s apprentice, Khalil Raad, is considered the first Arab photographer in the region.